I haven't ever tried to cover up my rather worrying obsession with tape hiss and noisy recording methods, I guess it's something that either irritates you or you end up devoting your life to, it's that simple. Luckily for me there's a new generation of bands and artists immersing themselves in the beauty of the cassette, in the sheer crapness of all things lo-fidelity and Woods, the duo of Jeremy Earl and Christian DeRoeck are at the forefront of this scene. With their label, endearingly named 'F*ck It Tapes' they have managed somehow to drum up a following of people ready to spend their hard earned pennies on a format that would confuse even the most intelligent of the younger generation. This full-length album was originally released on their label (on cassette of course) last year, and for those of us no longer in possession of a tape deck it has finally made its way to compact disc. Don't worry though noise fiends, it's still sounding as dirty and saturated as ever, albeit housed in the gloss of a digipak and sitting on a round silery disc. So after all this hype I suppose you'd expect the album to be some kind of ear-shattering Wolf Eyes style onslaught then? Think again, these folks have possibly more in common with Elliott Smith than with our noisy princes of darkness and 'At Rear House' shows them on a mission to weave together a collection of breathtaking lo-fi alternative indie music. These are memorable songs, beautiful and delicate at times and noisy and unpredictable at others - in fact the best comparison would probably be Phil Elverum, of Microphones and Mount Eerie fame. Elverum is another musician who remains defiantly anti-digital, happily issuing his albums on vinyl and handing out the cd version as a freebie for wax-buyers, and his crumbling compositions only reflect this sentiment. 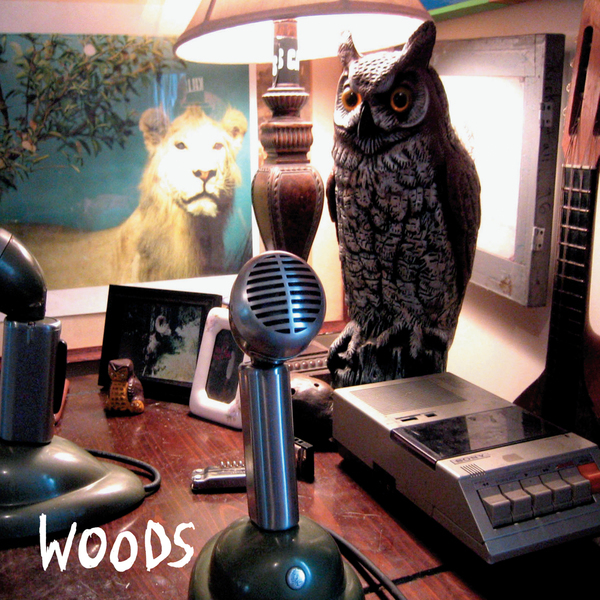 Woods' songs and album construction has a similar attention to shoddy detail and crumbling segues in-between the poppier tracks, but where the two acts become obvious bedfellows is in their deft ability to make pop music sound so unashamedly odd. There's a feeling of the great outsider, these were the kids at school who never really managed to fit in, and this is their way of making sense of all the bullsh*t - don't get mad, get even... or something. These are songs that in a better world might be heard on Radio 1, championed for their diversity and bravery - instead they're aimed at us, the shivering outsiders. Let's clutch this then to our chests and shout from the rooftops... quietly. Utterly lovely music - a huge recommendation.